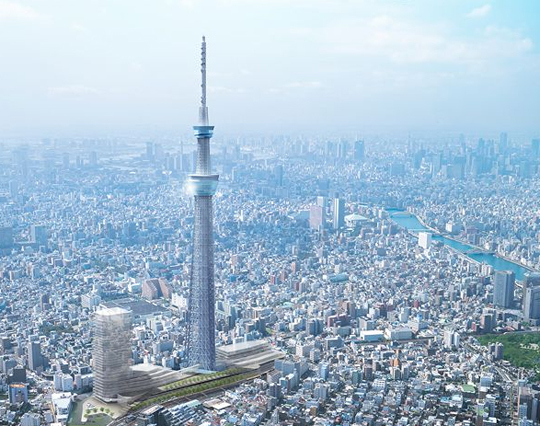 Tokyo Sky Tree, under construction as the world’s tallest self-standing tower, will be opened to visitors on 22th May 2012. The last week, during a press conference, it was anounced the opening date and also the cost of tickets to see Tokyo from above. The doors will open to the public at a cost of 2000 yen for the first stop at 350m and 1000 yen in order to go further than 100m, for a total of about $ 38. The tower will be fitted with antennas for terrestrial digital broadcasting and linked to a commercial complex at the ITS base.